St Petrock's Chapel from the Cathedral Yard side. The chapel also faces on to the High Street. 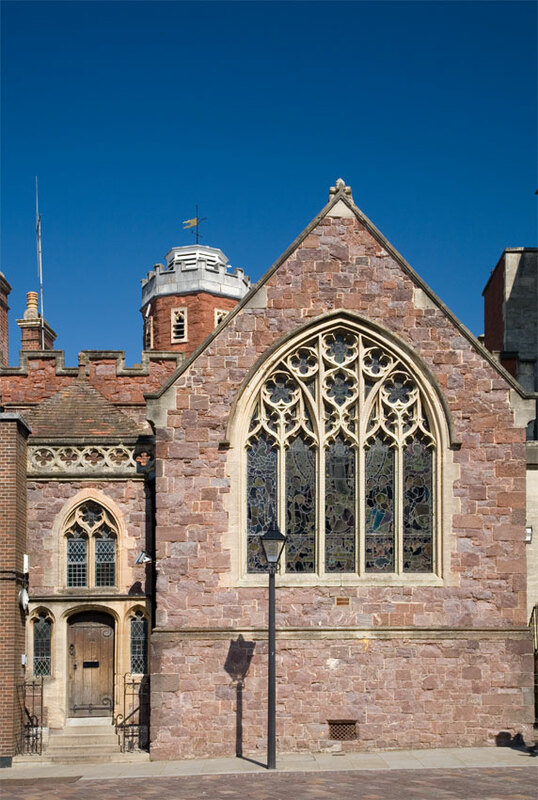 The red sandstone church dates back to the 12th century although it is possibly the oldest church in Exeter and considerably older than this.